Alt-pop/dream-rockers Frantic Romantic released their newest single “Rocketship” with an awesome music video reminiscent of the 80’s movie Earth Girls Are Easy. 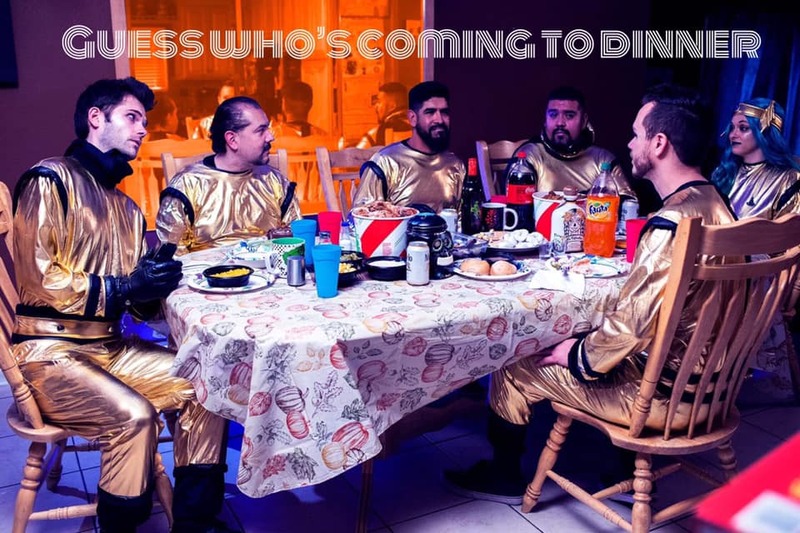 The video, directed by Nic Domaguing, stars local model/actress Victoria Barajas in your typical aliens meets earth girl fashion, with gold jumpsuits and a funny dinner scene that will make you smile. Stream the single on Spotify and don’t forget to follow/subscribe/like the band on their social media channels! In other great news, Mr Kerosene & Rube Walker perform at Festiarte, el punto del arte in Tijuana Mexico this weekend, courtesy of El Topo Records, as well as on June 22 in the downtown festival.